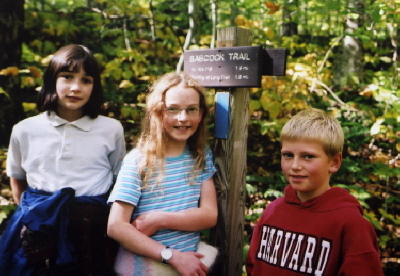 Thank you to everyone who helped to make 2006 and Winter 2007 a success for the Hazen's Notch Association. Whether you volunteered to help ready the trails for the winter, helped us pack the deep snow of Valentine's Day 2007, volunteered in support of the Summer Camp, worked on the education, stewardship or summer camp staff, made a membership contribution or donated to the Campership Fund - however you helped - thank you for doing your part to support the HNA. 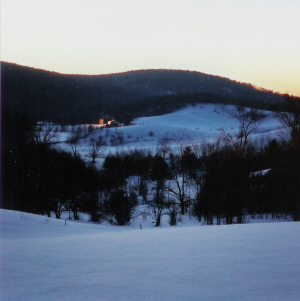 Winter 2007 saw an especially late start to cross country skiing and snowshoeing in northern Vermont. 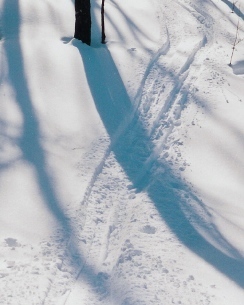 We finally had enough snow to open the trails on January 19, 2007. The snow that should have fallen in December was made up in large part by consistently good conditions through our last day on April 14, 2007. Over the years we have seen other winters with meager snowfall in December and poor conditions at Christmas. 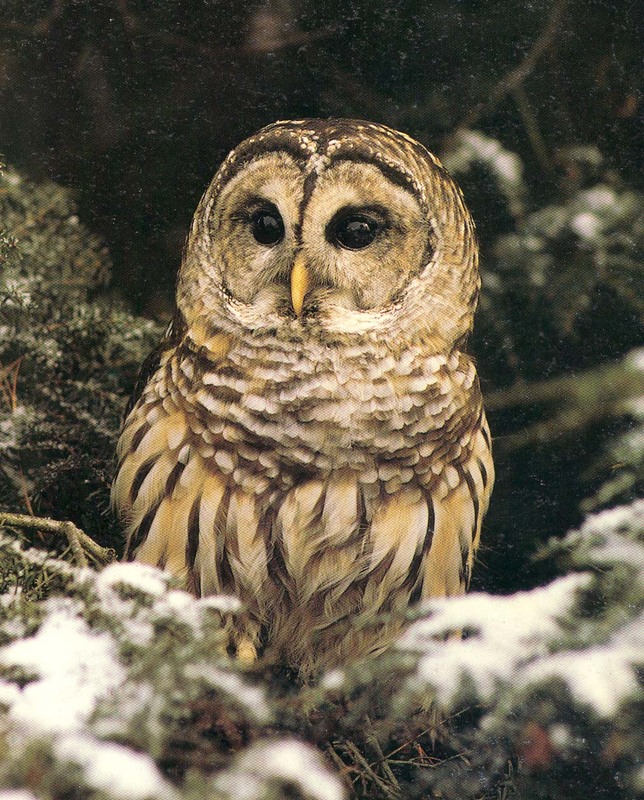 We haven't seen many years, however, without a mid-winter thaw. 2007 was such a winter. We were fortunate to have such good trail surfaces each day for 3 months. Many people go into making each winter work well at Hazen's Notch. These include volunteers, paid staff, the trail crew, welcome center and education staff, cooperating landowners, supporting members and paying guests. Thank you all for your doing your part. We are especially grateful to Emily Curtis-Murphy who cleared the trails and staffed the welcome center this past fall and winter. Emily came to Hazen's Notch from the Vermont Studio Center in Johnson, Vermont. She worked very hard at clearing brush and removing fallen branches from the HNA trails starting in the Fall of 2006. It is safe to say that the HNA trails were in better shape going into the winter of 2007 than they ever had been. This was entirely due to Emily. Once the HNA Welcome Center opened in January 2007, Emily helped groom the trails with our large snowmobile, roller and groomer/tracksetter. Long-time members genuinely enjoyed meeting Emily; she, in turn, made everyone feel very welcome. At their Spring meeting the HNA Board of Directors expressed their appreciation to Emily Curtis-Murphy. Thank you, Emily for your service to the Hazen's Notch Association. Each year many volunteers contribute valuable time, energy and skills to the Hazen's Notch Association. We are very grateful to everyone who helped ready the trails for this past winter, especially Louise & David Ransom, David Hunter, Andre LaBier, Nick Frey, Roseann & Jesse Richard, Lisa & Curtt Perry, Sarah Cushing, Diane & Larry Betts, Jane Williams, Carol & Patrick Farmer, Kenneth Kindsvater, Sandra & John Beaty, Melissa Haberman & David Burns, and Sue & Marvin Rusk. We value your support. Thank you ! One of the HNA's most dedicated volunteers is Patrick Farmer of Montgomery. Patrick and his wife Carol support many civic organizations in Montgomery including the Covered Bridges Garden Club, the Montgomery Historical Society and the Montgomery Town Library. At the HNA we are most appreciative of Pat and Carol's help with trail clearing, snowshoe packing the snowshoe trails and the some of the ski trails after big storms as well as help with mailings. Pat and Carol truely love people as well as the outdoors and rural life in Montgomery. They both contribute so much to the town in many ways. We are very fortunate that they chose Montgomery as their home. 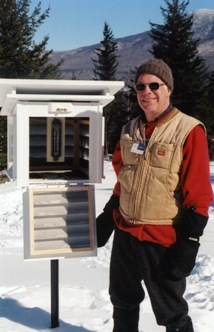 In 2006 Rolf Anderson asked Patrick Farmer to build an official National Weather Service weather instrument shelter for the HNA Welcome Center. Pat agreed and proceeded to build a perfect copy of a very handsome addition to the HNA facilities. It currently houses the minimum/maximum thermometer and will shelter other weather instruments as we acquire them. The shelter ensures accurate readings for our weather reports and records. The Association’s budget is supported by Summer Camp fees and donations to the Campership Fund, School Program fees, Winter Trails use fees, and Membership donations. Each year over 400 people make membership donations to the HNA. Thanks to everyone who joined or renewed their membership in 2006. 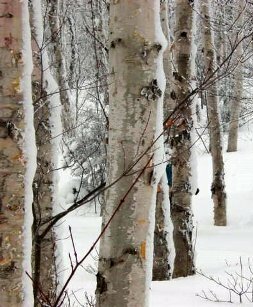 Welcome to all those new members who joined while visiting the Hazen's Notch Welcome Center for skiing and snowshoeing this past winter. If you have not already made a membership donation in 2007, please do so now. 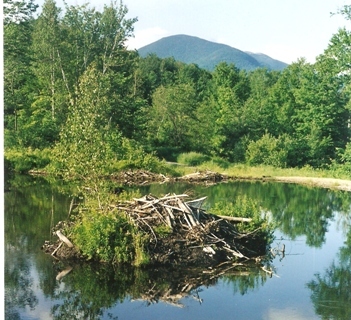 Help sustain the success of the Hazen’s Notch Association. If you’re not already a member, join your friends and neighbors in supporting an organization that is making a real difference in the lives of northern Vermonters. We value your support. Thank you ! We are very grateful to our neighbors who generously allow the HNA trails to cross their lands for cross country skiing, snowshoeing and, in some cases, for hiking. The HNA is proud of its partnership with our cooperating landowners who share the beauty of their property with our visitors. Please join us in thanking them for their continued support of the HNA trail network. The Board of Directors meets five times each year to review the Association’s activities and plan its future programs. Board members represent the geographic diversity of our service area and bring a wealth of experience in areas related to the Association’s mission: education, natural & recreational resources management, land conservation, and non-profit administration. Copyright 2001-2008 Hazen's Notch Association for the Environment, Inc. All Rights Reserved.